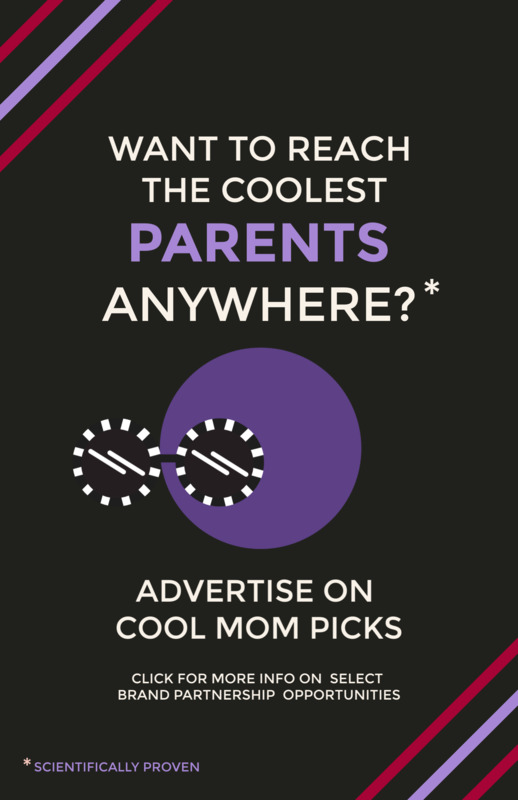 Hi Cool Mom Picks, I’m looking to purchase the best kids’ tablet for a 3-year-old, and maybe one for an 8-year-old. What do you suggest? – Reader, via Facebook. Oh, to be a kid on Christmas morning opening up a brand new tablet to play with! Lucky. The opening part is easy though, it’s the selecting part that can take a little more effort. It can be tough, given the many kids’ tablet options out there, some good, some not as good. 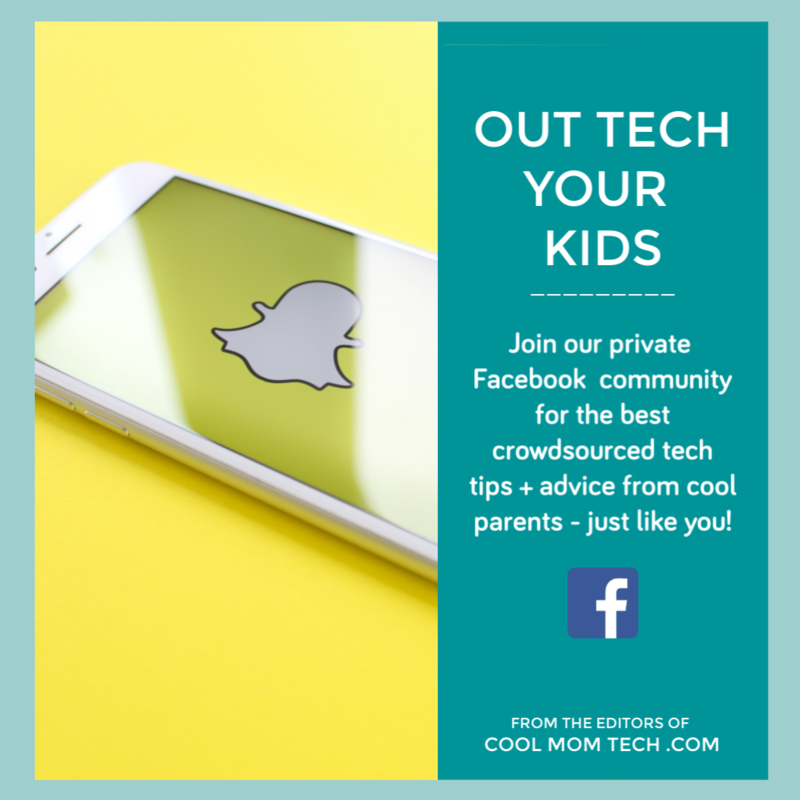 Plus, we’re all more focused than ever on safety now, especially with recent news about a hacker exposing security issues with the VTech Innotab, leaving a lot of personal data and info — yours and your children’s — vulnerable. Related: First cell phones for kids: 12 features and considerations to help you find the perfect one. After doing a lot of research, talking to security experts, and going with our own knowledge of the kids’ tablets options out there after having reviewed our fair share, there are two brands (and several tablet models) that stand out to us in terms of function, security, and relative value to the amount of time it will be used by a child. In other words, none of us want to invest in any technology that’s going to be outgrown in 6 months, at any price. There’s no doubt that we’re big fans of the Amazon Fire Kids Edition. 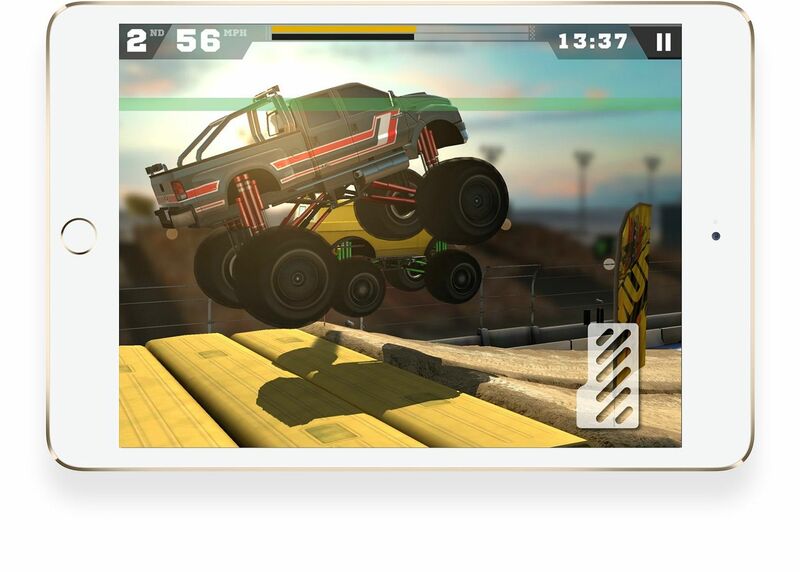 Full disclosure: Amazon Fire is a recent sponsor but that has nothing to do with our recommendation. In fact, getting to know the capabilities better over the past month is why some of our editors have purchased them for our own children for the holidays. One huge reason we like this tablet is mentioned above – it can grow with your child for many years. 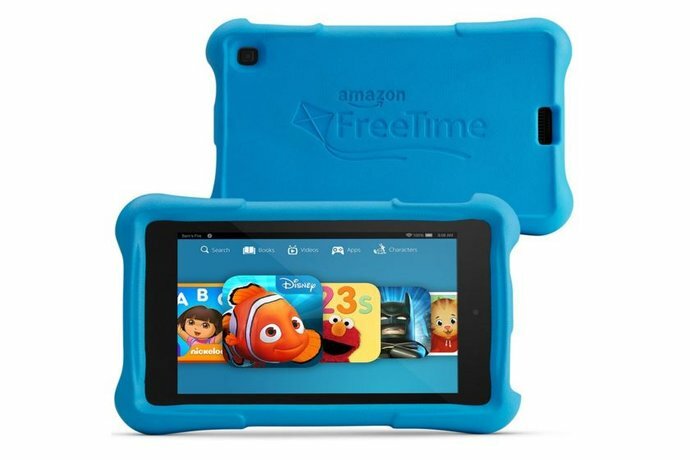 In fact, it’s one of the few tablets that would actually work for both a 3- and 8-year-old at the same time, thanks to Amazon FreeTime Unlimited. One of the things we like about the Amazon Fire Kids Tablet is that you can really set limits on content, create approved usage times, and track what your child is doing on the tablet. So, your preschooler won’t have access to the same content that your second grader does. 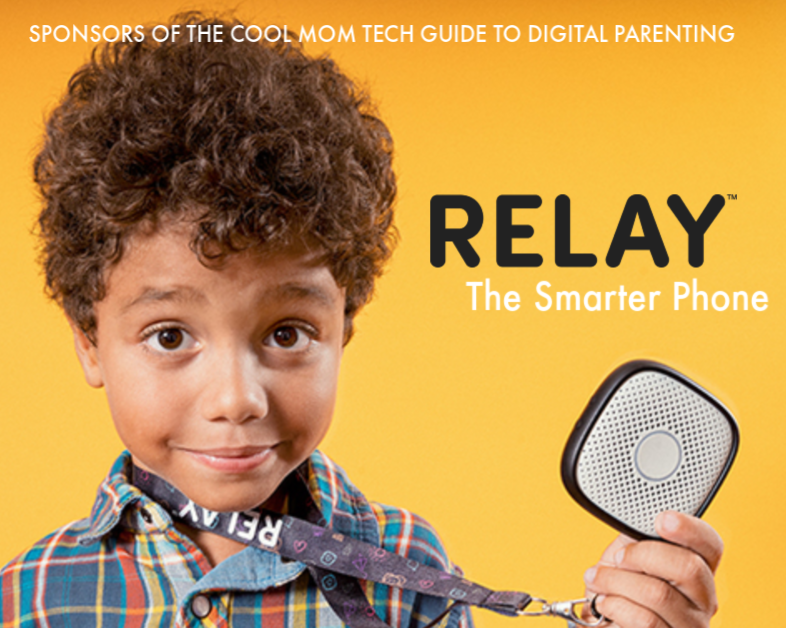 Plus with Bluetooth connectivity, your older kids can crank music to a connected speaker which, speaking from experience, they will definitely want to do. There’s also a vast — and I mean vast — library of 100,000 (corrected number) pre-approved and age-appropriate books, Android apps and games available to your child, based on the age ranges you set. 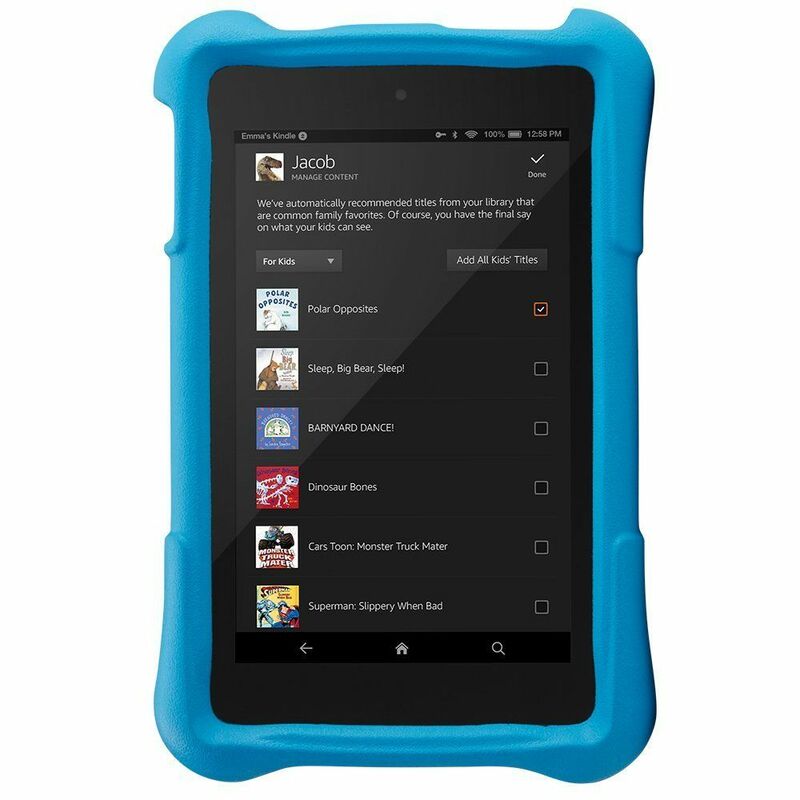 We think the range plus the connectivity to your own Amazon account makes this choice superior to some dedicated children’s tablets (like the Innotab) which have a limited number of proprietary apps available. Plus, the newest version of the Fire Kids tab offers an expandable memory option; one flaw with an earlier version was the lack of space for the zillions of apps kids want to have since “they’re all the best one.” Now, you can add up to 128 GB with a microSD card, which is a huuuuge difference from the 8GB it comes with. 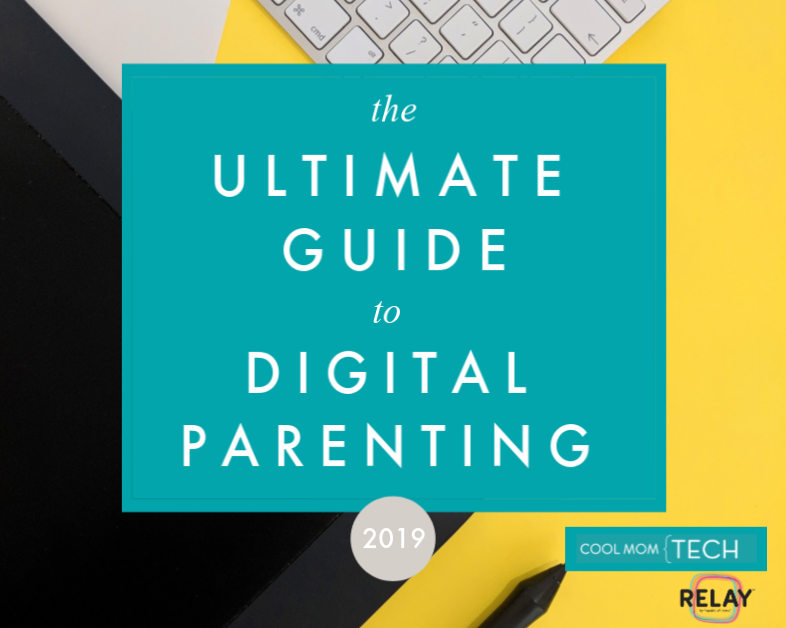 You can also allow responsible children to use to the Fire web browser with parental controls, and rest assured that they don’t have access to material you don’t want them to see. In other words you have a very well-filtered and monitored searching experience with the Fire Kids Tablet. I couldn’t get any info about specific encryption protocols or security for the tablet, however I feel confident about Amazon’s track record with securing customer data on their tabs and e-readers. As for the hardware itself, the tablet comes with a rubberized bumper, but the best bonus of all is the free 2-year replacement guarantee you get when you buy it If your kid breaks the tablet for whatever reason (and we can think of about 127 off the tops of our heads), Amazon will replace it for free. No questions asked. That’s pretty incredible. However to be fair, while the age reco is 3-8, we think an eight-year-old will get tired of this pretty quickly. Also, we’re admittedly not staunchly in the “three year olds need their own tablets” camp; but we also believe that families know their own children best and you can limit use the old fashioned way, by keeping it in your own possession and doling it out judiciously. One more caveat: If you’re buying this thinking your three-year-old will get four or five years use out of it, that’s not likely to happen. Technology changes so quickly — as do children — and you should really be thinking about the best tablet that will last for a couple of years. In which case the Fire Kids Tablet fits the bill for 4-7 year olds quite nicely for us, especially at this price. Before some of you think, wha…at? hear us out. As mentioned, your 8-year-old could still get some use out of of a tablet like the Kids Fire, and hey, it might even save you from having to buy a separate one if you have two children. But, if you are looking for a solid tablet option for your older child to own, once they’ve outgrown Toca Boca apps (mostly) and would rather watch hair tutorials or Minecraft walkthroughs on YouTube for entertainment, there’s a lot to really consider when it comes to iPads — whether a hand-me-down, a refurbished tablet, or one that’s brand new. If you’re thinking new though, I would look at an earlier gen iPad mini, a WiFi-enabled iPad Mini 2, or the brand new, super thin iPad Mini 4 (below), for a whole lot of reasons. Especially if you’re a family that already has Apple and iOS devices in the house. Apple’s security really is unparalleled; with iOS 8 Apple could no longer access your data or bypass your password themselves. Now, iOS 9 data encryption and security goes even beyond that, coupled with Touch ID. So if you’re worried about your kids’ privacy and personal info, we think an iPad is the gold standard. 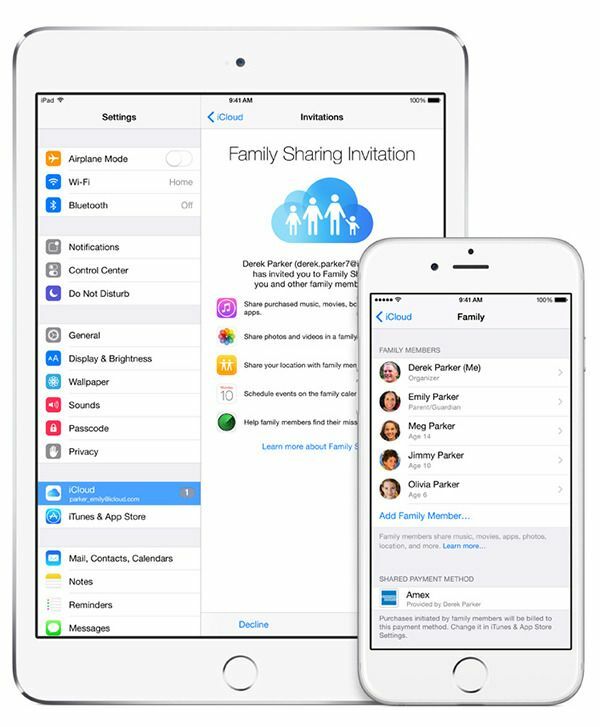 As far as parental controls, we find that Apple really does have better parental controls built-in than any Android devices we’ve seen, which often require third party apps as well as adjusting settings at the Google Play store. You can easily set them on both a hand-me-down iPad or a new one to make it suitable for your child’s age. A lot of the guidelines Kristen smartly called out for handing down an iPod Touch apply here. It really is so simple to set restrictions on the iPad to ensure kids don’t make crazy app purchases, find scary things on the Internet, or buy the entire sixth season of The Walking Dead without your permission, which is reassuring. As for our ongoing argument for investing in technology with longevity, this will last. 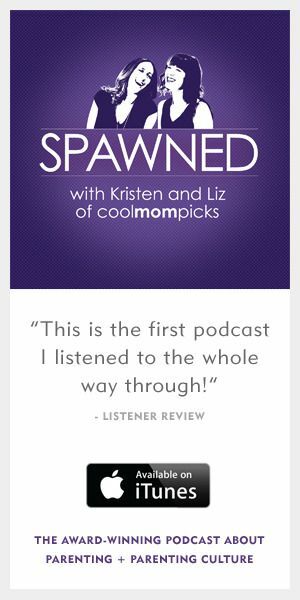 This comes from someone who had an iPad 1 for more than three years; and our editor Liz’s daughter is still “borrowing” an iPad 2 that’s going strong after more than four years! Well, aside from a cosmetic screen crack. Of course this all presumes that your child keeps the tablet intact — good time to check out our post on the best protective cases for the iPad Minis. There are no two-year guarantees that come with an iPad, though we always recommend buying Apple Care with any iOS purchase. Cost-wise it we think an iPad is a smart purchase, especially if you’re an Apple family and can take advantage of the genius Apple Family Sharing feature, which lets up to six family members share content between devices, so individuals own their own apps and music (instead of sharing one) if it’s already been purchased by one user in the family. That alone can save you a huge amount of money in the long run, even if the initial investment of an iPad Mini is more than a kids-only style tablet. Total price: $269 and up for new iPad Mini 2 at Apple. Also check the Apple site for a limited number of special deals on refurbished iPads; as well as visiting your local service provider like AT&T or Verizon, and bigger retailers like GameStop ($189 for 16GB) or Best Buy ($199 for 16GB). Making a tablet purchase isn’t an easy (or cheap) decision, but we think these two kids’ tablet options offer the quality, safety, and features we feel good about as parents, while offering the most potential to grow with your children.